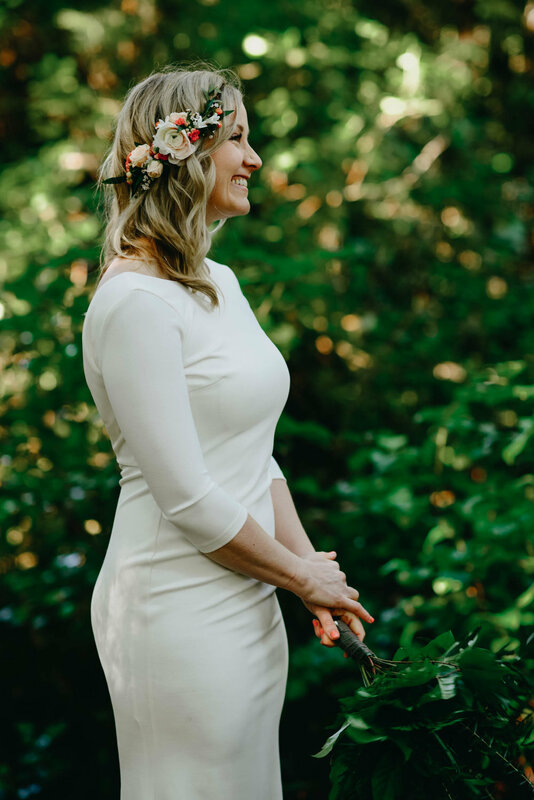 This spring has been filled with the most beautiful weddings, most of which have been smaller, intimate elopements such as Liz and Scott's. 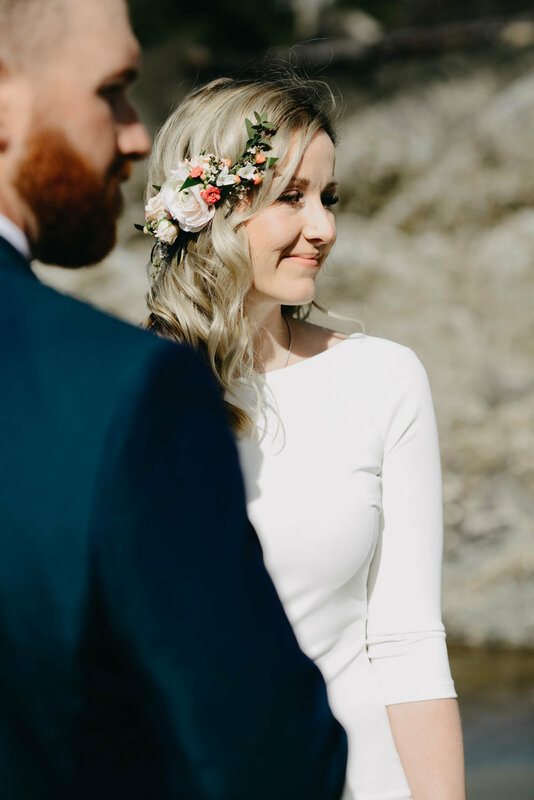 I have shot many weddings, big and small and every time I shoot an elopement I can't help but wonder why everyone doesn't do it. 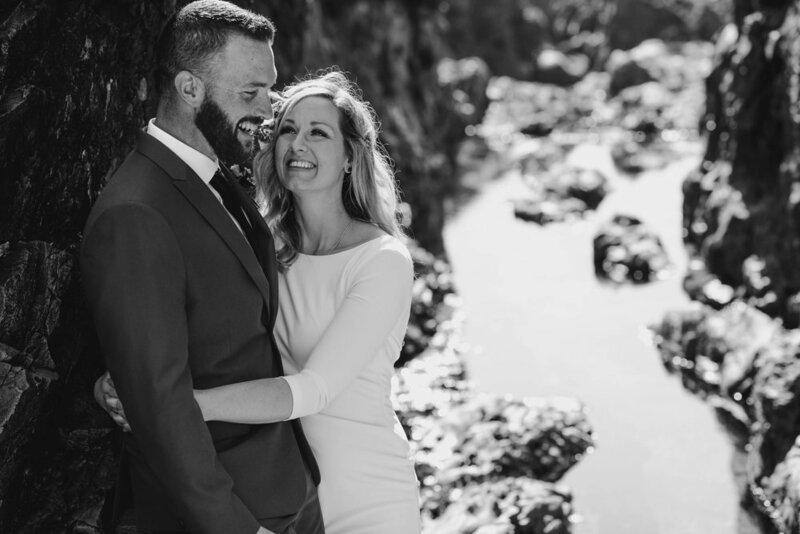 There is pretty much zero stress, and you get to focus solely on what's the most important..... the amazing person you are about to marry. 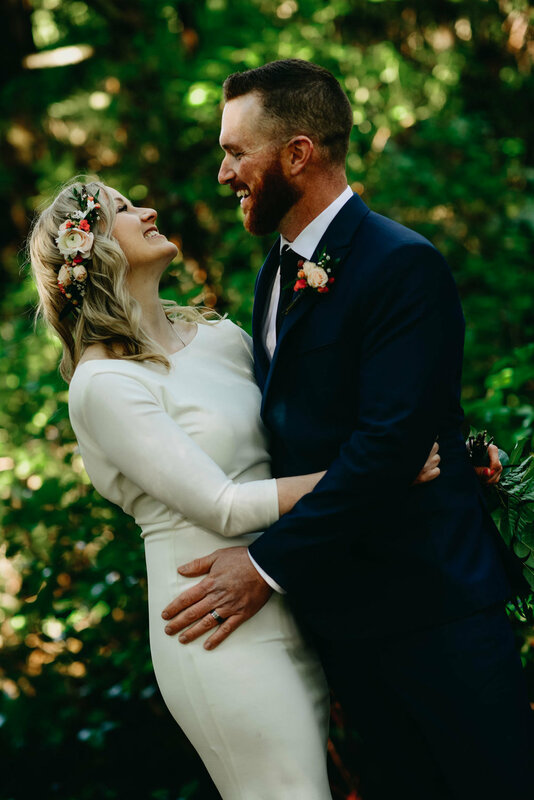 Don't get me wrong, I do love the tradition and celebratory energy of larger weddings too but there is something incredibly special about elopements. 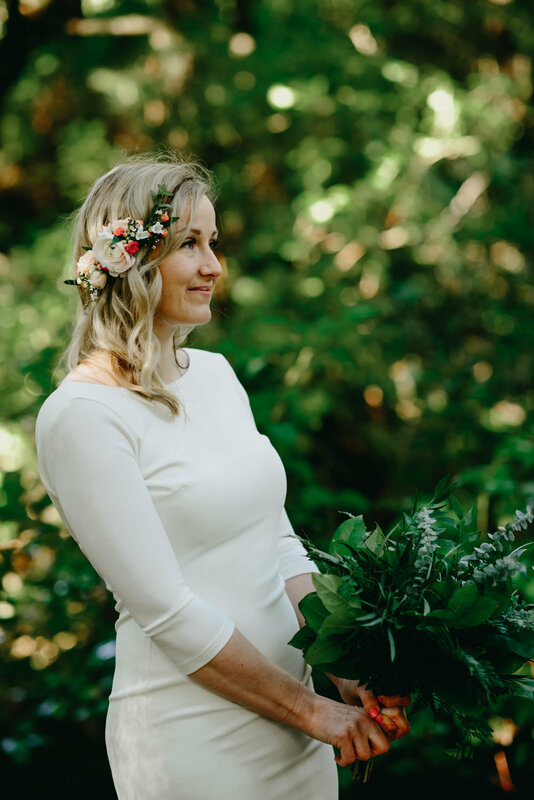 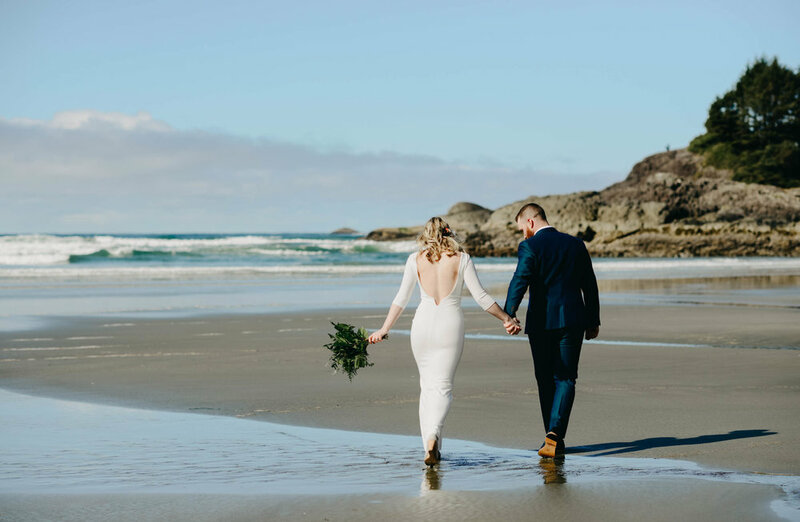 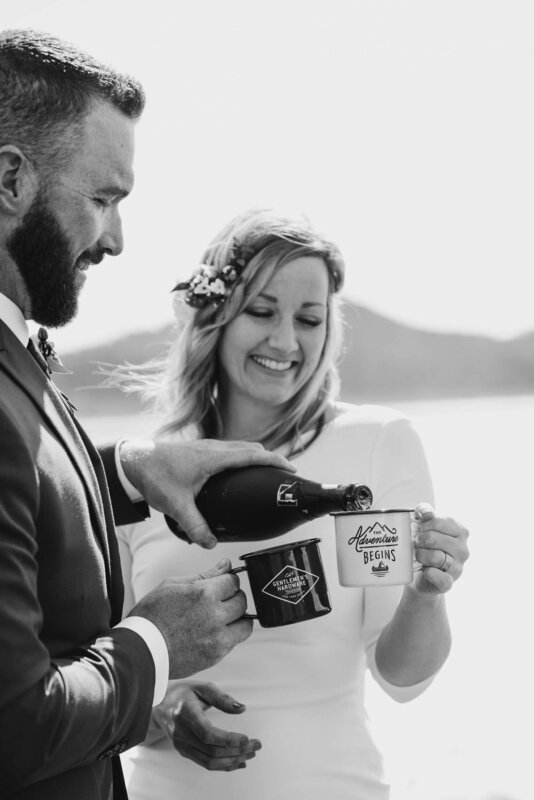 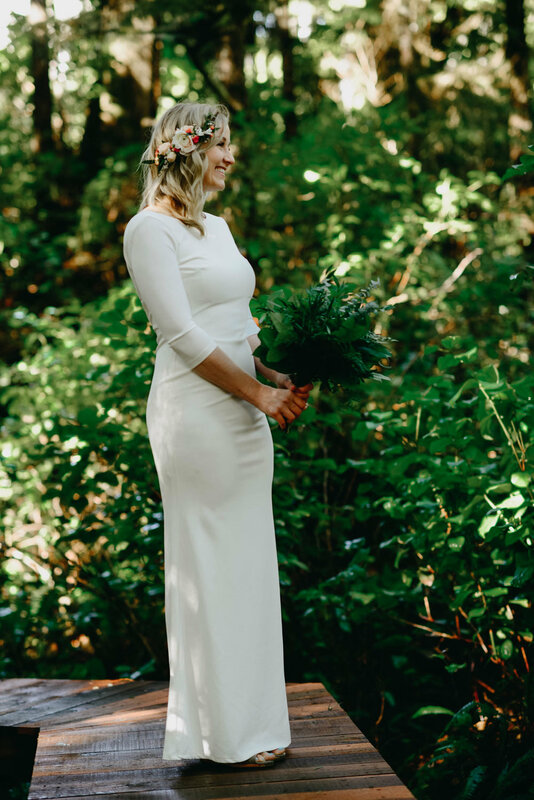 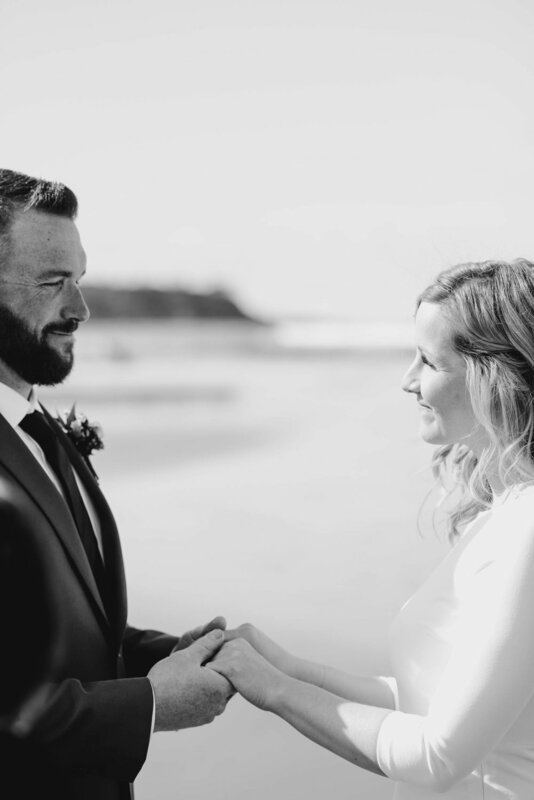 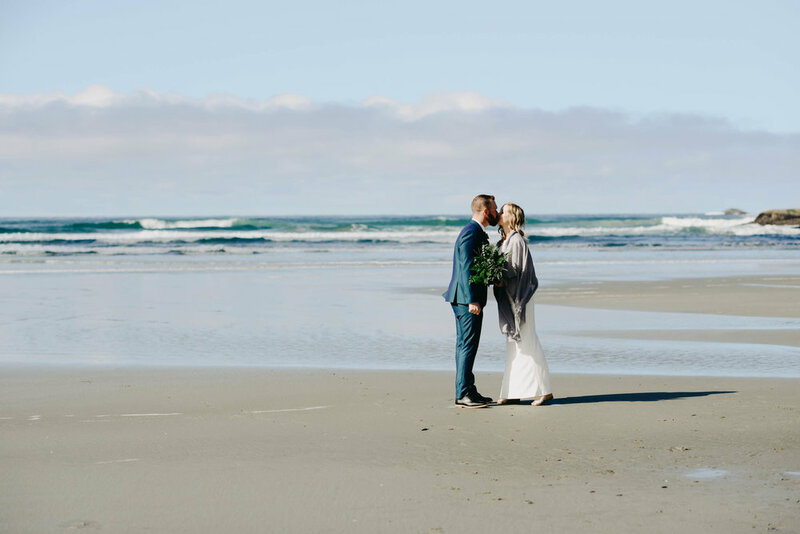 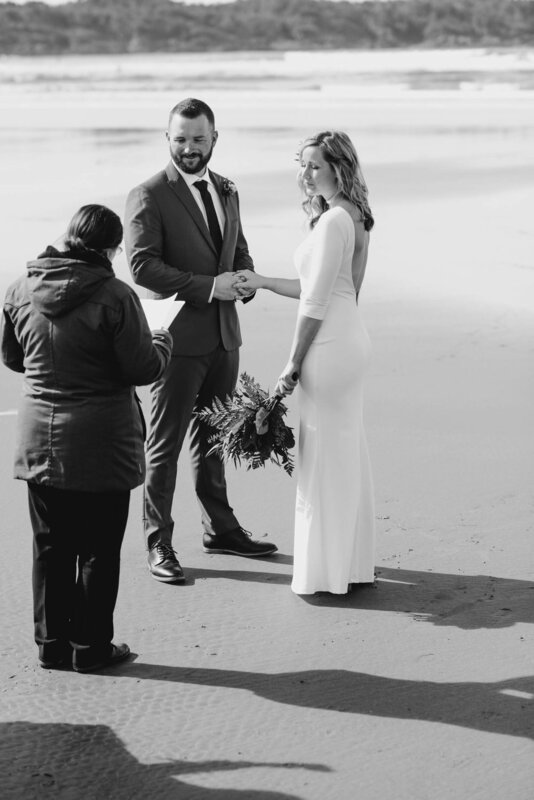 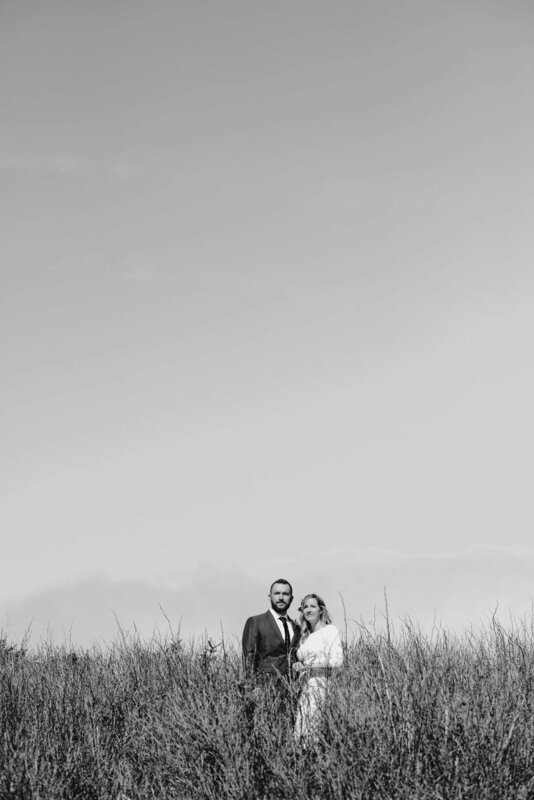 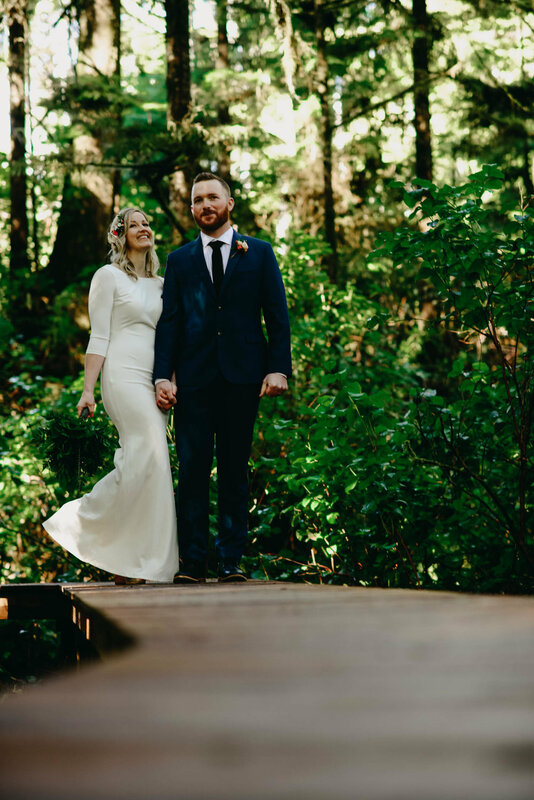 Liz and Scott's little wedding was such a pleasure to photograph, we had a the most beautiful day and they chose a perfect spot on Cox Bay, in Tofino, to exchange there vows. 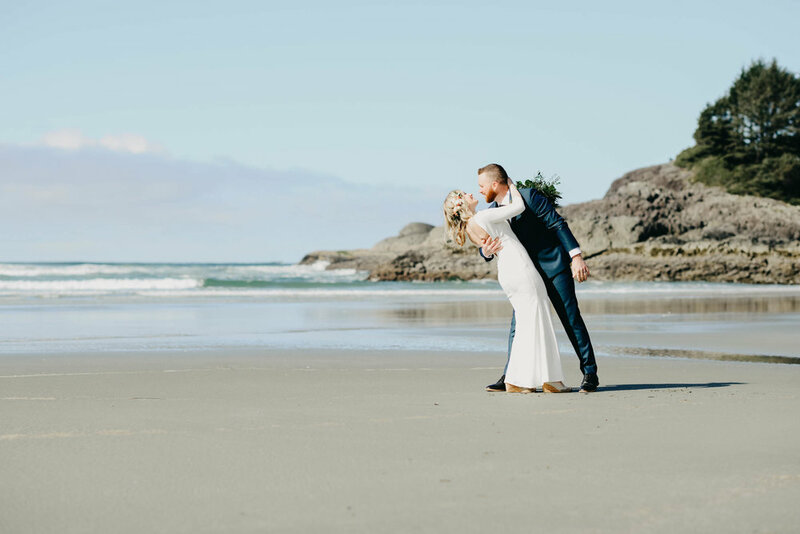 After their "I do's" I took the newlyweds on a little walk out to Pettinger Point, where we stopped along the way so I could capture all the love and sweetness that was emanating from these two love birds.